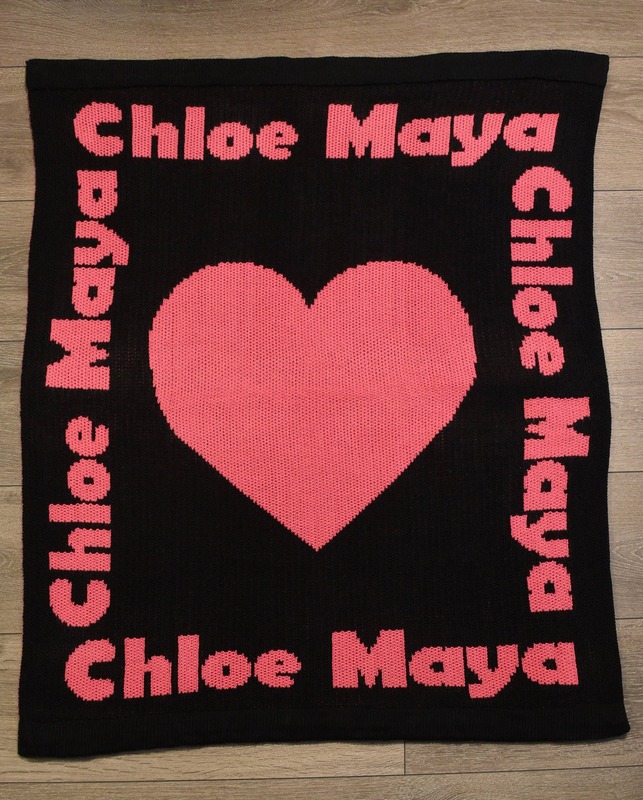 The Names All Around custom knit blanket can be personalized with the name of any baby or child. 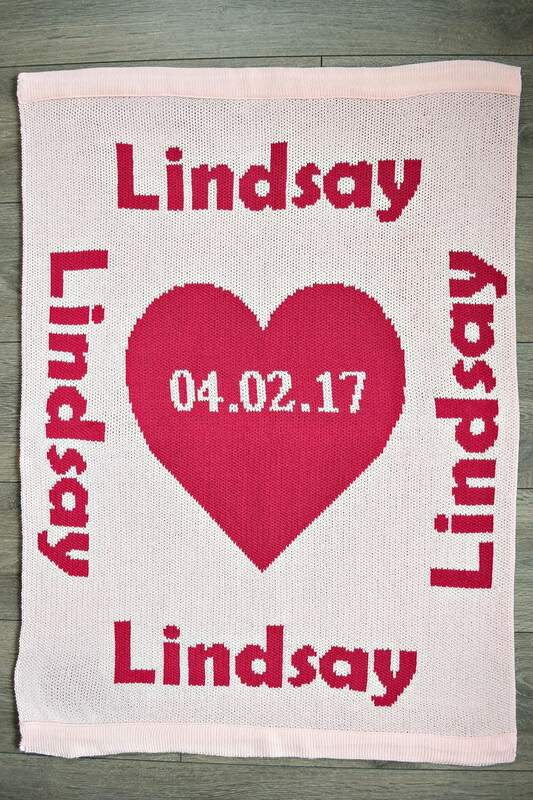 This is a wonderful opportunity to include, if desired, personal details such as a birthdate on a blanket (see below for more ideas). 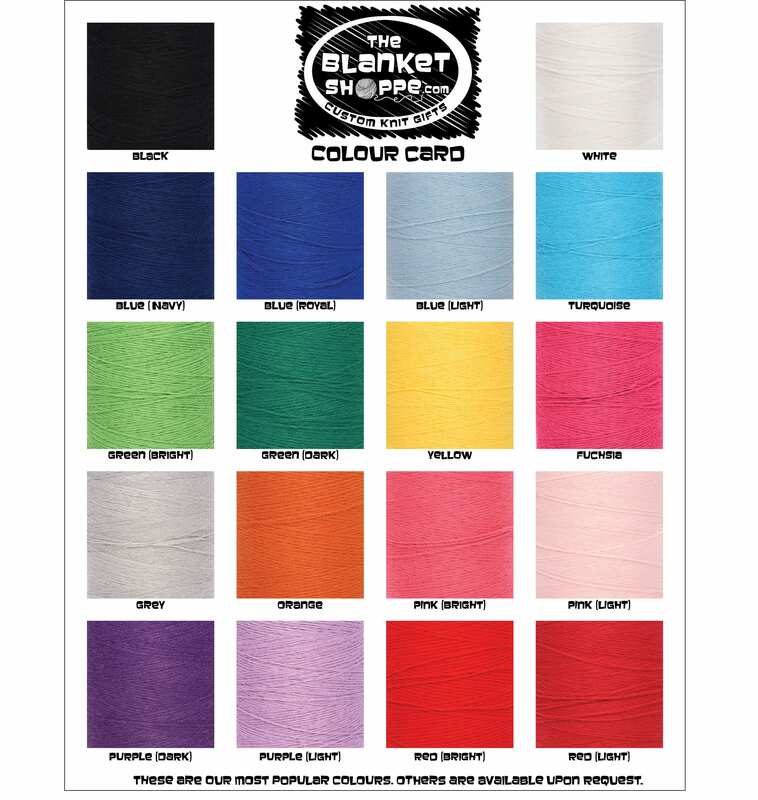 2) If you would like a heart or star in the middle of the blanket. The default option is a heart. 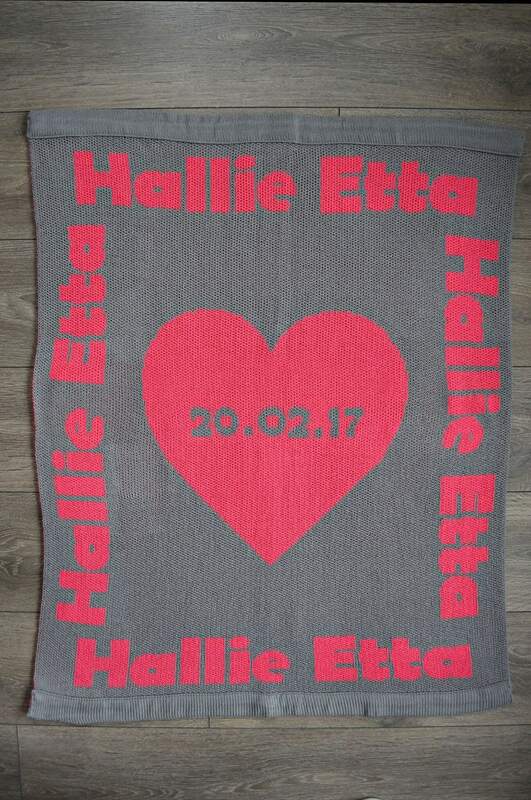 3) Optional: Any personalized details you would like included in the heart or star such as a birthdate, the baby’s birth weight/length, or a message such as “Love, Mom & Dad”. The heart or star can also be blank, which is the default option.